Turkey occupies an important role as the melting point of Europe and the Middle East, which gives it a diversity of cultures and backgrounds. Turkey has a young population which like most in the Western world, is adapting to the new ways of making money such as trading the financial markets with 21st century technology. The Turkish currency, the Lira, is one of the exotic currencies offered for trading in the Forex market. This has led to an increase in Forex and binary options trading since retail trading was introduced, prompting the Turkish regulator to take some action in ensuring that the markets are regulated in ways it deems fit. The financial markets in Turkey are regulated by the Capital Markets Board (CMB). The Turkish finance ministry is in charge of the composition of the board of the CMB. Founded in 1982, the CMB operates with the Capital Markets Law of 1981, which was amended in 1999 to accommodate the obvious changes to the financial market structure of the new millennium. Principally setup to regulate the Istanbul Stock Exchange, the CMB has swung its attention to the forex and binary options markets, taking positions that have changed the face of binary options trading in Turkey. Most of the forex and binary options products consumed by Turkish citizens are provided by offshore brokers. The CMB performed a double move aimed at curbing the marketing of forex to Turkish citizens by offshore brokers. Firstly, the CMB enacted rules which changed the way leverage was offered by forex brokers. Trading on the TRY pairs on forex brokers regulated by the CMB were lowered to 1:50 for those with trading accounts less than 20,000 TRY, and 1:100 for accounts with more than 20,000 TRY. Secondly, the CMB now requires all offshore forex brokers to obtain CMB licensing before they will be allowed to market their products to Turkish citizens. These changes were introduced without prior warning and caused the closure of many retail forex accounts. To cope with the sudden revenue loss caused by the new rules, many forex brokers started to offer binary options as an alternative product so as to entice many traders to switch over and continue trading. But the CMB had other ideas. In a stunning move, the CMB declared binaries as a gambling product and not a financial market investment vehicle. Turkey is not a signatory to MiFID, and the CMB has not only announced its intentions to sue some named binary brokers, but has also blocked the IP addresses of most of these offshore brokers. By the look of things, binary options trading has not only been rendered illegal, it has been criminalized. Traders in Turkey will be able to use the following methods of transaction on trading platforms. Bank wires: It is presently not possible to wire funds using bank wires directly from a bank in Turkey to a broker. The best bet is probably to operate with a foreign bank account and perform all money transfers to and from the account to the chosen brokerage firm. Credit/debit cards: It is possible to use international prepaid debit cards to transact with offshore brokers. There are limits to the amount of funds that can be deposited or withdrawn using this method. E-wallets: Only the international e-wallets can be used to conduct binary options transactions. These include the digital wallets of Skrill, Neteller and Fasapay. 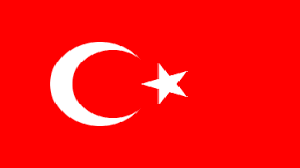 Are there local binary options brokers in Turkey? There were local brokerages in Turkey before the announcement banning binary options by the CMB. With the threat of lawsuits and with the CMB shutting down the servers of local brokers, it is likely there won’t be any left very soon. Is it legal to trade binaries in Turkey? No. The CMB regards binary options as a form of gambling and has moved to criminalize this type of trading in Turkey. Presently, the CMB has blocked web access to the sites of many offshore brokers. Is it possible to trade with offshore binary options brokers from within Turkey? No. Except the trader has access to advanced software to bypass the IP restrictions imposed on offshore brokerage websites by the CMB, it is not possible to trade binaries with offshore brokers. What is the status of existing binary options accounts of Turkish traders? The threat of lawsuits from the CMB has caused some offshore brokers to start closing accounts held by traders from Turkey. Some local brokers have had their sites taken down by the CMB. It is exceedingly difficult to trade binary options in Turkey at the moment.